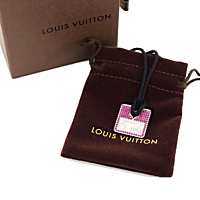 A chic Louis Vuitton white gold necklace of 188 pieces set with round brilliant pink sapphires in 18k white gold. The pendant is 1 inch long and 1 inch wide; the necklace measures 26" and can be worn at any length you prefer. 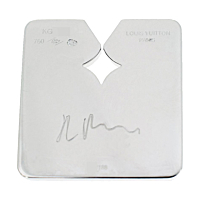 Modern and versatile, this Louis Vuitton necklace is a real standout.